Lindsey taught me so much about our breed and showing dogs. 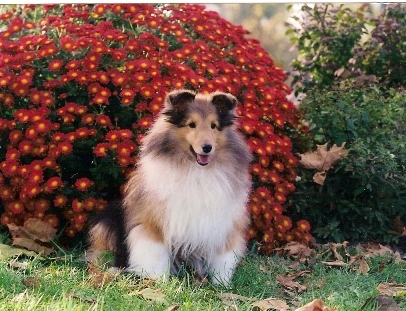 She was the foundation for the breeding program at Alpenglo. Lindsey passed along that soft, sweet expression, fluid movement and beautiful breed type. Thank you, Sharon Stinson, for allowing Lindsey to be a part of my life.